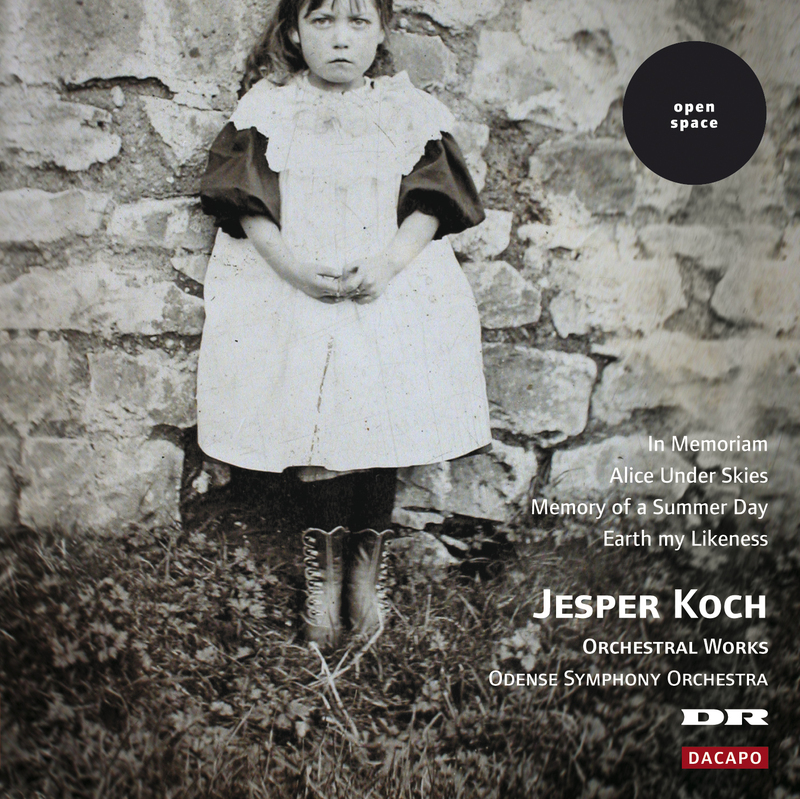 The Danish composer Jesper Koch (b. 1967) has an unusual natural talent for writing for orchestra and has no qualms about engaging with the tradition. His works – at the same time playful and perfectionist – have reminiscences of both Late Romanticism and Impressionism. He usually draws his inspiration from texts, particularly from Lewis Carroll's Alice's Adventures in Wonderland. In Memoriam (1999-2000) 16:37 16,00 kr. Alice under Skies (1997) 10:54 12,80 kr. Memory of a Summer Day, Aria Interrupted (2002) 12:36 12,80 kr. Earth My Likeness (2000-2001) 17:21 16,00 kr.